Ca Yardsharks 14U will have an opening on our summer roster once High School is over. If you are an athletic player that is looking to develop both physically and mentally we would be a good fit for you. We are mostly 2005 players. We will be playing mostly USA and PGF with a couple of AST tournaments thrown in. If you are an eighth grader now and are looking for a new home then feel free to contact me as well. Looking for ALL positions. If you are a Pitcher or a Catcher looking for quality time on the mound or behind the plate come and give it a shot! We need a another Pitcher and Catcher. We expect our athletes to have dedication, work hard on and off the field, to be coach able and push themselves continuously in order to grow as an individual and as team! We take pride and thrive on working as a family unit❤️🖤. If you are interested you can call Chris Abar 916-889-4377 or We will see you on the dirt! High School softball will be winding down soon. WE are looking to fill a couple roster spots for the 2019 season. We have a terrific core of players and parents. We will be holding open workout on April 28th @ 2pm until 4:30. All positions are open for competition at all times. Players will be expected to compete throughout the season - in practice and in games in the effort to prepare each to play at their highest level. We are looking at all positions and will always consider hitters and athletes. If you have any questions regarding team, philosophy, costs, potential fundraising, etc, please feel free to give Bill Fletcher a call or Email. Looking for an impact pitcher to join a successful and highly competitive 18u team in Lodi. NOR CAL Hot Shots Price is a showcase team and 2018 PGF National Quailifie. Our coach’s and teams common goal is to promote our student-athletes and help guide them through the process of getting seen, recruited and signed at schools that fit both their academic and athletic interests. Summer 2019 season will include Superior Softball Showcases, Zoom Into June and PGF Portland Quailifier, we have relationships with coaches at colleges and universities at ALL levels across the US. CA Breeze 2023 has an immediate opportunity available due to season ending injury. We are looking to add athletes who have a competitive spirit, a dedicated work ethic, and a team-first approach to the game. Our emphasis is on continued softball development, both mechanically and mentally. Our schedule includes elite level tournaments and invite-only events, national qualifiers, and culminates with two National Championship tournaments. We value versatility and athleticism. We have immediate opportunities in the outfield and rotational opportunities in the infield for athletes who can also contribute offensively. All playing time is earned, as rotations are based on productivity. Private workouts can be arranged easily, as well as guest playing opportunities or participating at a practice. All inquiries are strictly confidential. Please email cabreeze2023@gmail, or contact Coach Pirkey at 916-502-3552. The Breeze's reputation as the region's leader in competitive softball has been built over it's 34 years. With the BATS facility as our base of operations, we are rooted in Sacramento and committed to providing the platform of premier softball. RC Elite New 16u Team Tryouts!!!!! RC Elite Organization.Hey High school season is coming to an end, Players looking to play summer ball, First time travel ball players, or looking for a new start come out and give us a look see. We are re-building our 16u Team. All positions are open, looking for pitchers and catchers to start the process, then build from there. Players looking for a new start, or a different situation this could be for you. Our Home practice site is Sacramento High School. Our first try out date is below.If interested Contact: Howard Smith for more information. 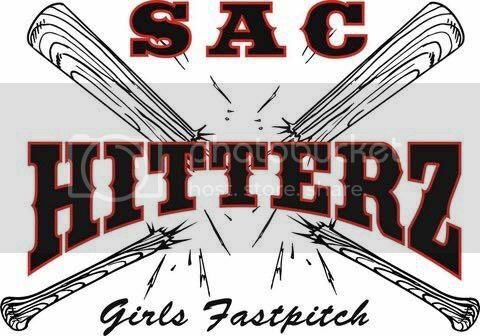 (916)799-2558, coachsmith45@aol.com, or rcelitesoftball.org. We are currently looking for a catcher. We are based out of Manteca/Ripon area. Please contact Frank Gonzales at 209-629-0312 or email at fgonzales@musd.net for more information. All American Mizuno 05 14u !!! All American Mizuno 14u 05 is looking for an athlete to add to the roster for the spring / summer season. and seeing your Athlete succeed. All American & former Team USA player Kelly Jackson. Our practices are held in the Roseville-Antelope area along with practices at our indoor facility in West Sacramento. CS98 Athletics is looking for a few more players to join our group of dedicated players for the Spring/Summer/Fall Season. 02s, 03s, 04s or strong 05s are welcome to check us out! Team practices are centrally located in Sacramento. One of our coaches was an NCAA Division I catcher, has no child playing on the team and provides insight on what it takes to get to the next level. Summer Season will include mostly Northern California Showcase tournaments culminating with the Triple Crown Showcase by the Sea in San Diego in early August. custom software development services company is specifically developed to create great user experience & fulfill requirements for apps & website creation.